While we count down the days until the Apple Watch is (presumably) revealed at Apple’s “Spring forward” event March 9, more details about the much-anticipated wearable continue to dribble out. For instance, the smartwatch was designed to be able to replace your car keys—though it’s unlikely that functionality will be turned on at launch. Apple CEO Tim Cook told The Telegraph that when it ships, Apple Watch will let you filter messages, give you credits for meeting exercise goals, and accompany you in the shower. Cook also said the battery life will last all day and will take less time to charge than the iPhone using the new MagSafe-style wireless inductive charger. It’s unclear exactly how long the battery will last—recent reports indicate Apple is aiming for 19 hours of combined active and passive usage—or how long it will take to charge, but we’ll find out soon. Like the iPhone and iPad, people will find their own reasons to love Apple Watch, Cook told The Telegraph. Most will be attracted to the watch’s design and wear it as a fashion-forward accessory, Cook said. Others will embrace the wearable’s fitness features and Apple Pay. “This will be just like the iPhone: People wanted it and bought it for a particular reason, perhaps for browsing, but then found out that they loved it for all sorts of other reasons,” he told the British newspaper. 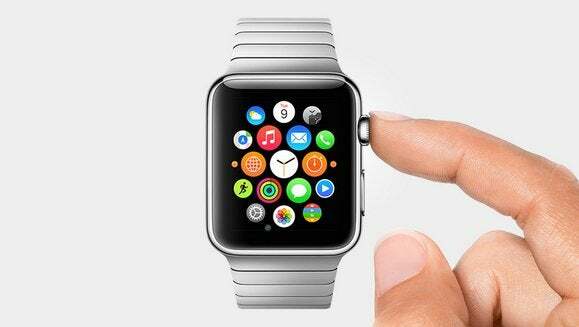 We expect to find out new reasons to love the watch when Apple stages the big reveal March 9. Macworld will be covering the event live from Yerba Buena, and you can watch the livestream of Cook and co. here.